Published: Nov 18, 2014 to ? Half a year after the turmoil that rocked the entire city of Ikebukuro. Peace has once again returned to the city and people are living each day normally. 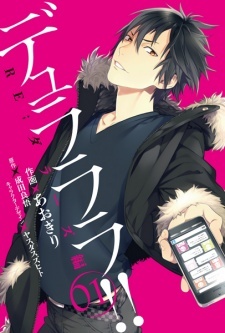 The high school students enjoy their days of youth as the strongest and most dangerous man of Ikebukuro works diligently. The informant plots (or plans) a new scheme and the headless rider is pursued by the cops as she rides through the night... But soon this normal will be cut short by the abnormal. Slowly but surely, the unknown will seize the city and face an all new storm. Durarara!! RE;Dollars-hen has been licensed in English as Durarara!! Re;Dollars Arc by Yen Press.